"Mr. President, what will you do for woman suffrage?" 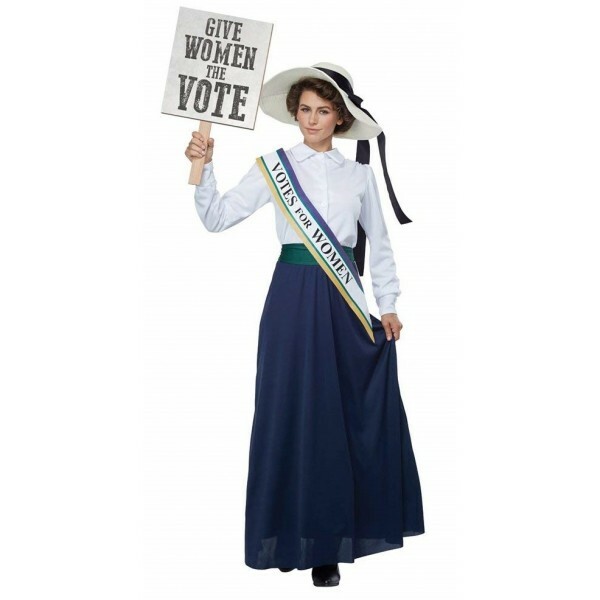 Alice Paul and her Silent Sentinels helped tip public opinion and pass the 19th Amendment; with this costume from California Costumes, you can pay tribute to their critical role in American history. This 100% polyester floor-length dress includes details like a green belt that ties in the back and loose sleeves with gathers at the cuffs and shoulder. 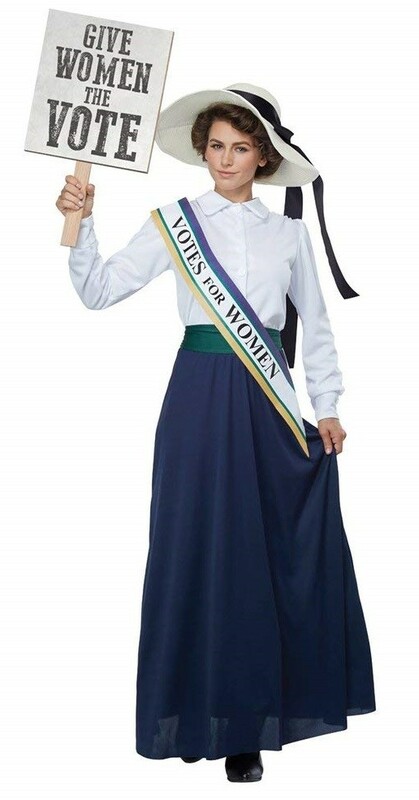 The sash includes the suffrage colors of purple, white, and gold and demands "Votes for Women." Please note: hat and sign not included.